Choose whatever club you want your merchandise sent to and simply order online. You can pay upon pick up. Usually next day delivery. has many qualities that make us unique and specially suited to satisfy all your tennis needs. We have three locations spread out around the NYC. Each one attached to a tennis facility so that our customers can don't have to go far to use their new equipment. Don't have a racket or just want to try out the latest rackets? We have demo rackets at all of our locations so that you can use the latest in tennis racket technology. 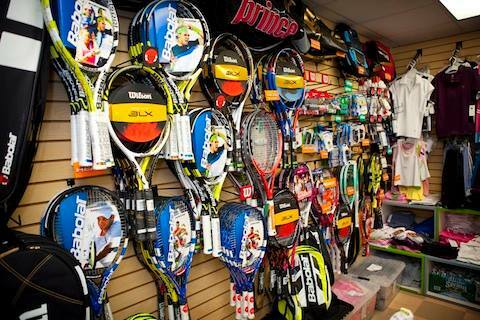 We also have all the tennis equipment a good tennis proshop should have from rackets to clothing and more! Need something we don't have? Order it from our website and it will usually come into the store next day! You can even pay on pickup. Please visit us at our flagship store located at 488 east 60th street in the heart of New York City!